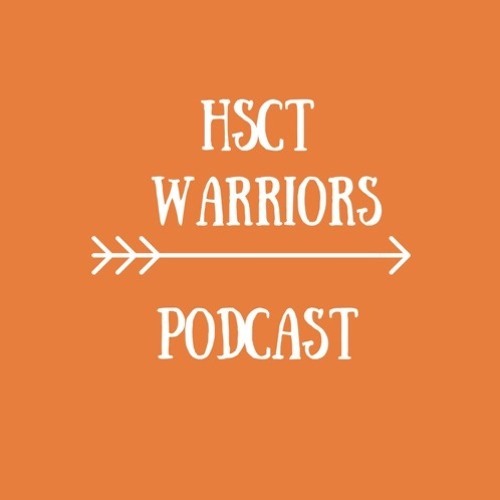 Welcome to the HSCT Warriors Podcast - bringing voice to the journeys of HSCT Warriors worldwide. HSCT stands for hematopoietic stem cell transplant - a medical procedure inspired by the research of Dr. Richard Burt out of Northwestern University in Chicago, Illinois. Autologous HSCT uses high-dose chemotherapy to target and obliterate the blood cells that carry the messaging of autoimmune disease, and once the diseased cells are “too low to count” the return of a patient’s own stem cells then helps to boost the growth of a brand new immune system. As an HSCT warrior myself, I started this podcast to portray personal narratives and expand the snapshots from social media - to highlight the snowflakes (individual experiences) and recognize our superpowers - because we are just as unique in our HSCT journey, as we are in our experience with autoimmune disease. So whether you are - or know someone - who is battling Multiple Sclerosis, Rheumatoid Arthritis, Type II diabetes, Scleroderma, Lupus, or any of the 24 autoimmune diseases that HSCT can halt - or are simply inspired by transformational journeys - you are in the right place. The interviews you will hear on this podcast are intended to offer insight and create connections, reveal grace and express gratitude, promote wellness and cultivate well-being. As we continue to grow the HSCT Warrior community, illuminate the invisibilities of autoimmune disease, recognize the possibilities of a future free from disease progression, connect through our shared experiences, and advocate for an inclusive society… we’re glad you’ve joined us. Special thanks to musical genius Billy Alletzhauser for sharing his superpowers to create the soundtrack, edit, and produce the audio to make this podcast possible. You can find us both when you subscribe on SoundCloud, iTunes or wherever you find your podcasts. Tune in next Wednesday for a brand new episode, highlighting another HSCT Warrior. Until then, be a snowflake and embrace your superpowers. Be kind. Be well.